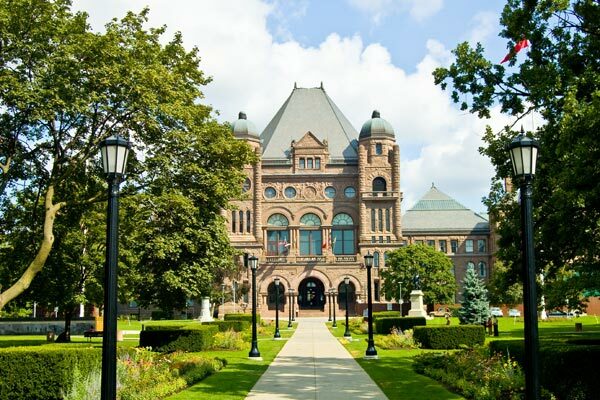 The Progressive Conservative Party has won the Ontario provincial election and there may be some good news ahead for household budgets. But while the party has made plenty of promises to cut taxes, reduce regulatory burdens, and help families; there has been less talk about the housing market. That’s because new premier Doug Ford is a believer in market forces rather than government intervention. “I believe in the market dictating. The market, no matter whether it’s the stock market or anything, it will always take care of itself—supply and demand,” he recently told the Globe and Mail. Mr Ford has also mooted the idea of scrapping the 15% tax on foreign ownership, raising concerns of some including BMO chief economist Doug Porter. “How that can possibly be a top priority, especially given very compelling evidence that said tax played a huge role in deflating the Toronto housing bubble in the past year, is a mystery,” Porter said. While there may or may not be government action on housing affordability, the PCs have promised to cut taxes; for corporates and small businesses, which will help real estate agents and mortgage brokers as well as many other small business owners; but also for households. Reacting to the election result, CIBC economists Royce Mendes and Katherine Judge highlight the “tangible promises” made during the campaign including minimum wage earners to receive a tax credit for the full amount of their income taxes. Individuals in the second income tax bracket could also see their tax bills fall by 20% and there are proposals for child-care tax reforms and lower taxes on gas and hydro bills.